That work paid off recently when we received Great Place to Work Certification. The certification is the result of a confidential survey of U.S. employees in our Pulp & Paper division and corporate offices, as well as analysis of our employee engagement programs and policies. Great Place to Work evaluated the results and compared Domtar with some of the best employee-ranked companies around the world. 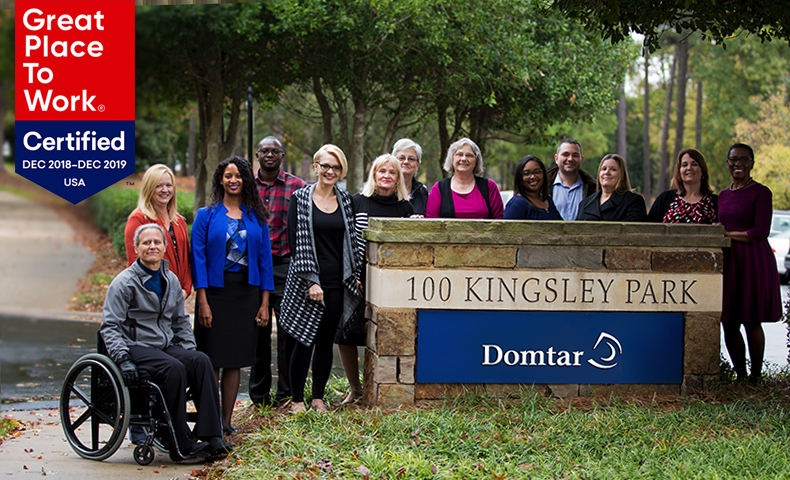 Learn more about what makes Domtar a Great Place to Work.